I got an opportunity to go to the opening of “Common Place,” a gallery by Kenneth Kauffman, in the Grace and Joseph Gorevin Fine Arts Gallery on the second floor of the Holy Spirit Library on Thursday, Oct 21. Then yestersday I got to sit down with Ken Kauffman for an interview for the Loquitur. Kauffman exhibits his work through the use of digital and film photography focusing on people in their natural environment. “Beauty, humor, irony, human emotion and character can all be found in my work ‘Common Place,’” Kauffman said. The gallery will be on display until Sunday, Nov 21. 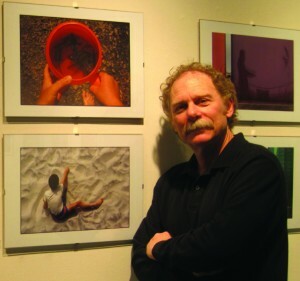 This entry was posted in College and tagged Common Place, Ken Kauffman, Photogallery, Photography. Bookmark the permalink.